This is the 3rd of 39 Bamburgh photos. 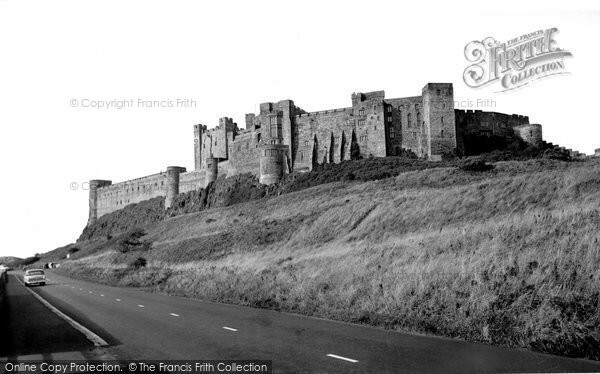 Caption for Bamburgh, the Castle 1954: In July 1333 Archibald, Lord Douglas led the Scottish army in a feint towards Bamburgh in the hopes of drawing the English away from Berwick which they were besieging. It failed, and the Scots had little alternative but to march directly to the aid of the beleaguered garrison. This particular siege of Berwick was ruthless. The castellan gave his two young sons to Edward III as hostages. Edward had inherited his grandfather's ruthless streak; he executed the young boys with neither compunction or compassion. The Scottish army clashed with the English at Halidon Hill and was routed. 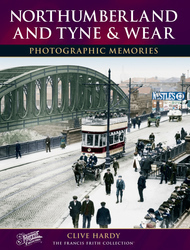 Berwick was forced to surrender.